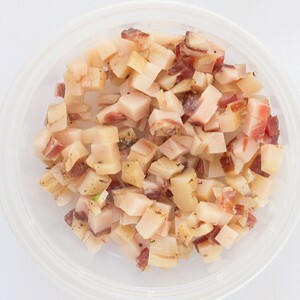 Italian-style bacon cut from pork belly; usually cured with salt and eaten raw, but can be cooked just like bacon for recipes. 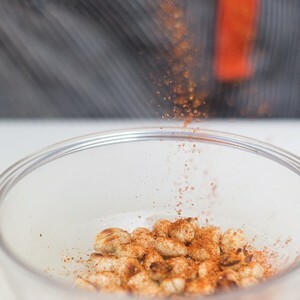 A unique blend of smoked paprika, cumin, allspice, garlic powder, sage and brown sugar. 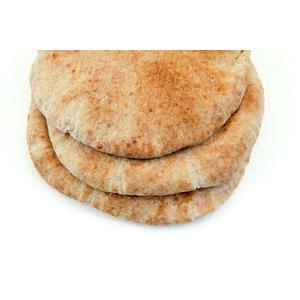 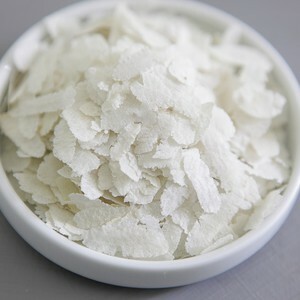 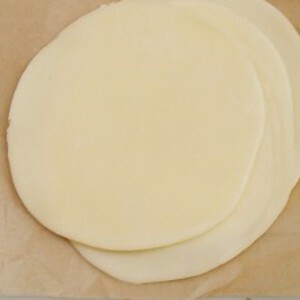 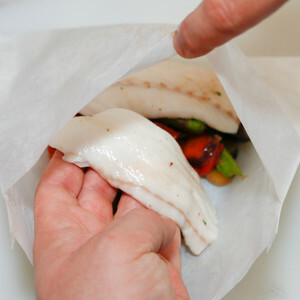 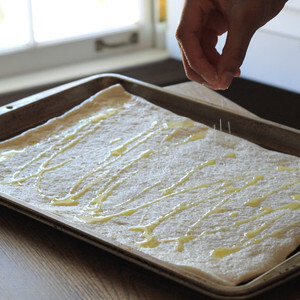 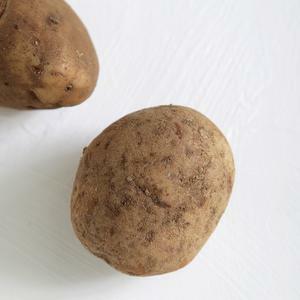 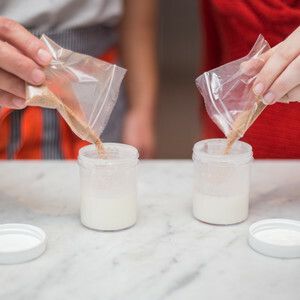 Packets made of parchment paper that can be used as a baking vessel. 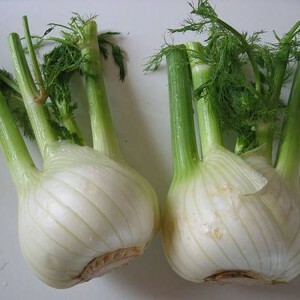 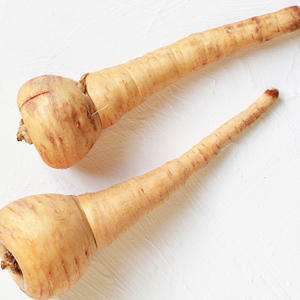 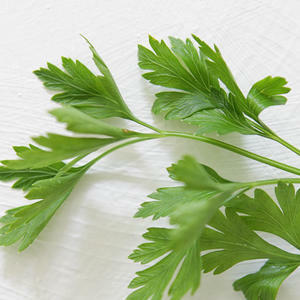 Parsley is a wildly popular herb that is a part of the celery/carrot family. 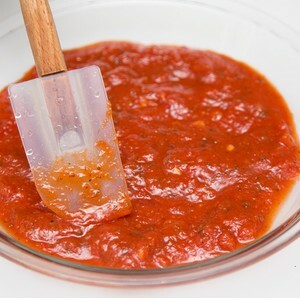 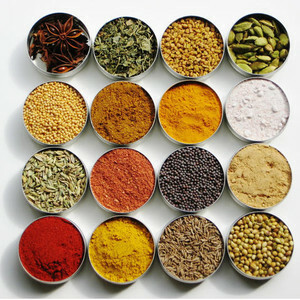 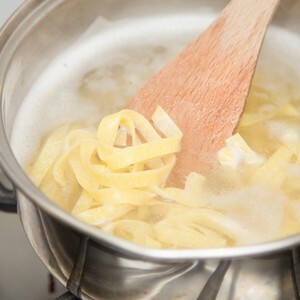 Any flavorful sauce used to dress pasta, such as marinara, pesto, or alfredo. 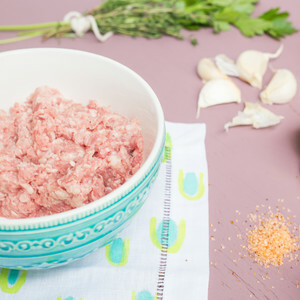 Pork that is processed through a meat grinder and used for meatballs, burgers, sauces and more. 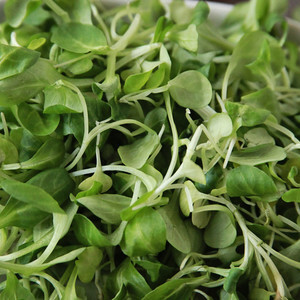 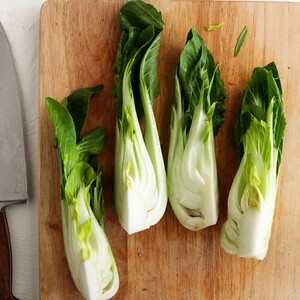 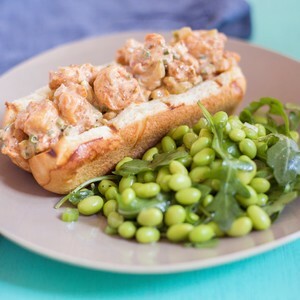 Pea shoots are the tender leaves and young tendrils of green pea plants. 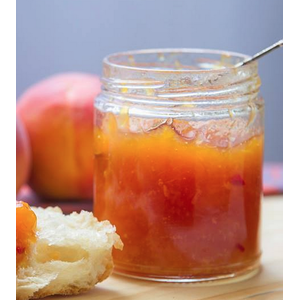 Peaches preserved in sugar as a spreadable jam or marmalade. 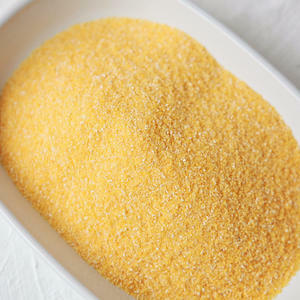 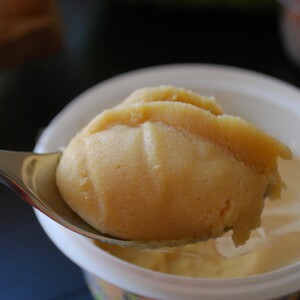 Peach that has been blended to smooth, creamy consistency. 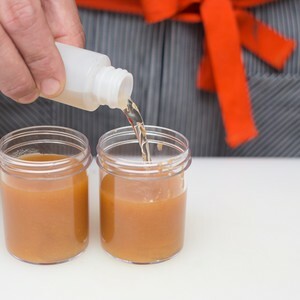 Used for sweet sauces and cocktails. 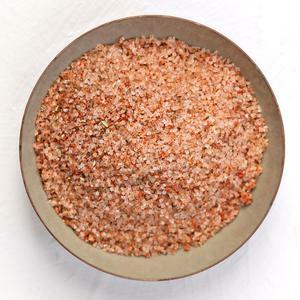 An all-purpose seasoning salt made in collaboration with Atlanta-based artisan Beautiful Briny Sea. 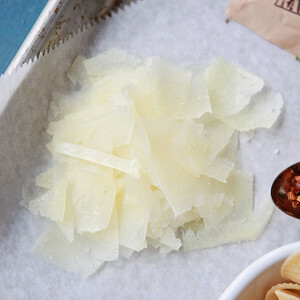 All the spicy, smokey goodness you love about PeachDish salt... without the salt. 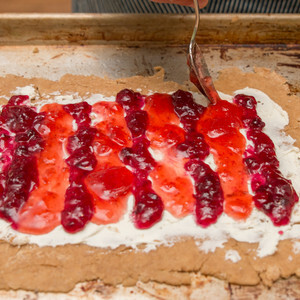 A blend of cinnamon, sugar, and heat. 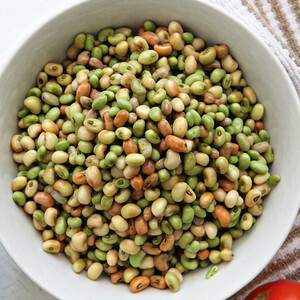 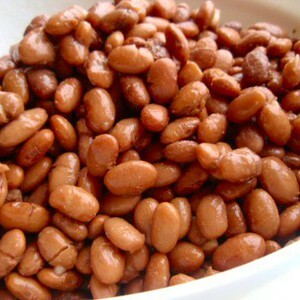 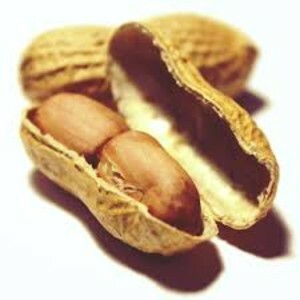 Peanuts, also known as groundnuts, are a legume crop grown mainly for its edible seeds. 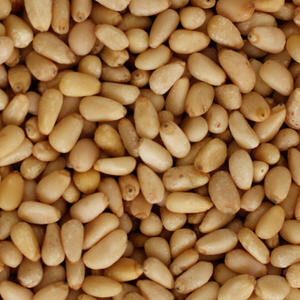 Peanuts ground down with oil and other ingredients to form a spread that can be smooth or crunchy. 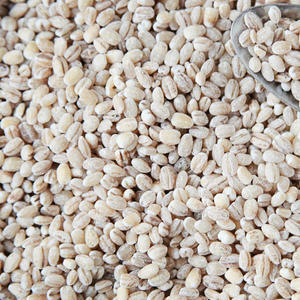 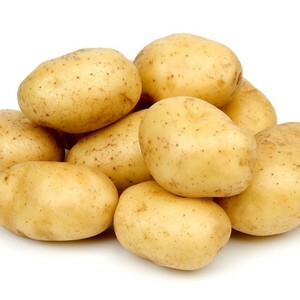 Because it has had both it hull and bran removed, this barley cooks faster and is less chewy than non-pearled varieties. 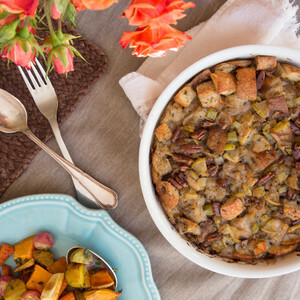 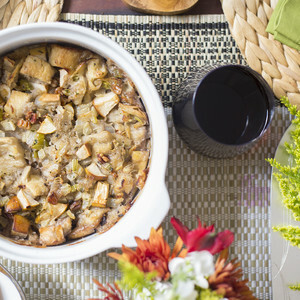 Dressing is what is found on most Southern tables at Thanksgiving. 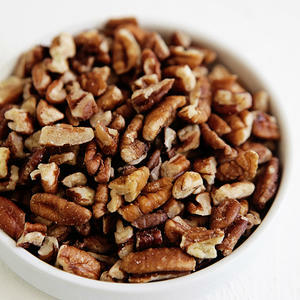 Technically a drupe rather than a nut, the pecan must be cracked open for its edible buttery seeds. 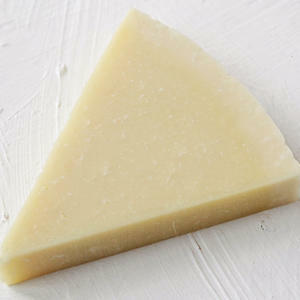 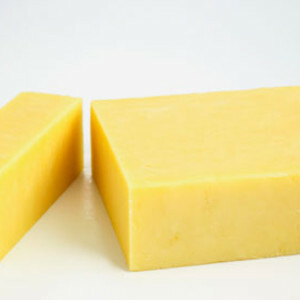 A hard Italian cheese made from sheep's milk; this salty pecorino originated in Rome. 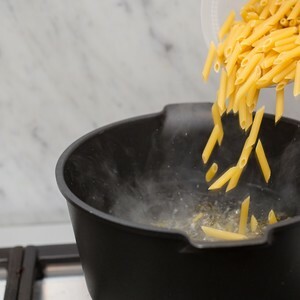 Penne is a small, cylindrical pasta with ridges and edges on a bias. 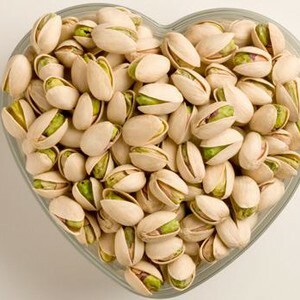 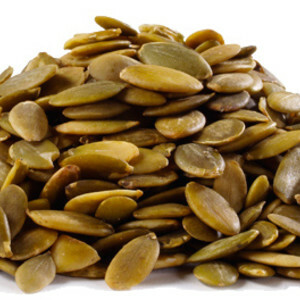 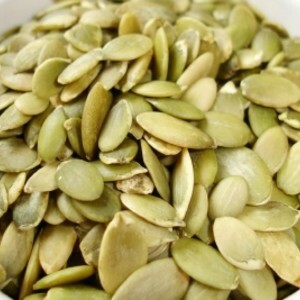 Pepitas are pumpkin seeds that have been hulled and are ready to be enjoyed raw or roasted. 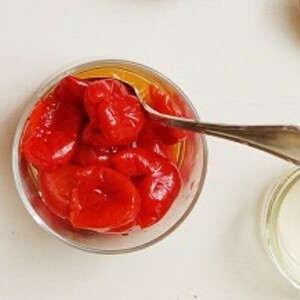 Sweet picante peppers from the Limpopo province of South America; the name "Peppadew" was trademarked for this special pepper. 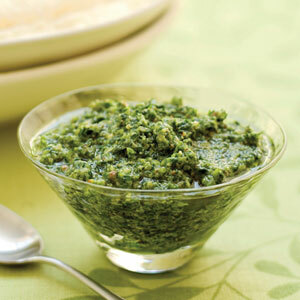 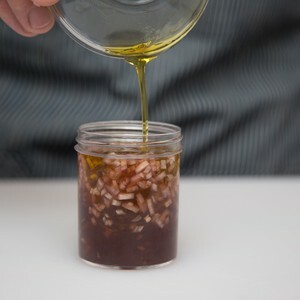 A vibrant Italian sauce that is traditionally made with basil, but can made with other herbs or vegetables. 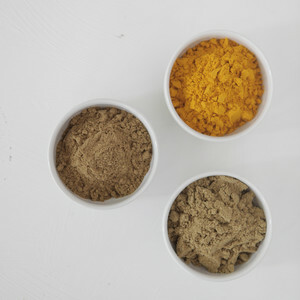 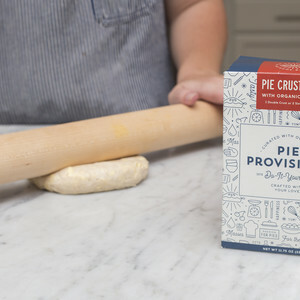 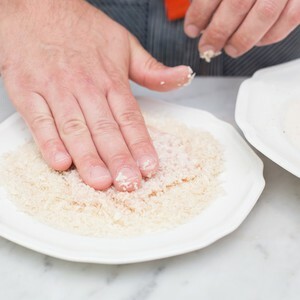 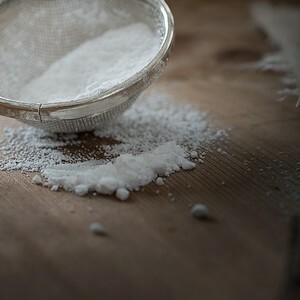 Pie Provisions provides the organic dry ingredients with a no-fail recipe to make homemade pie crust that’s not only delicious, but also so approachable. 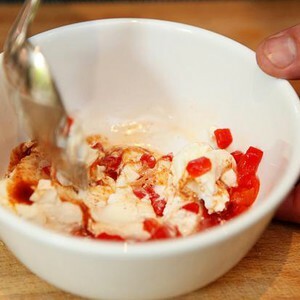 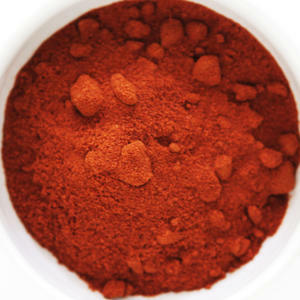 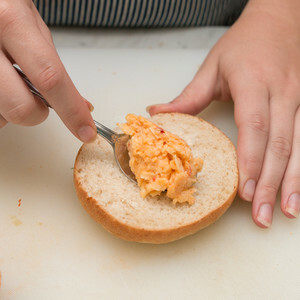 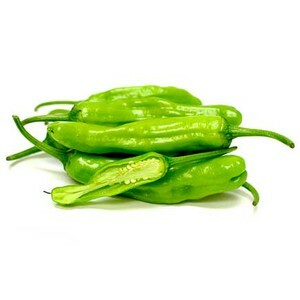 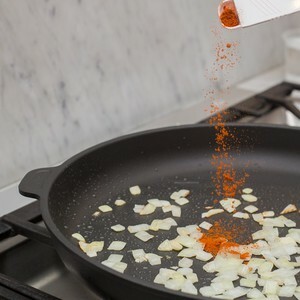 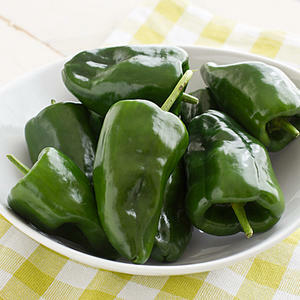 Pimenton, or Spanish paprika, is a spice that adds depth of flavor and heat to many dishes. 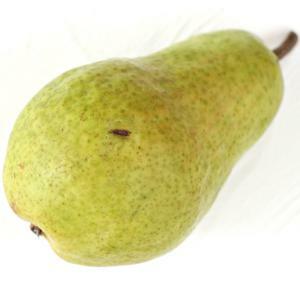 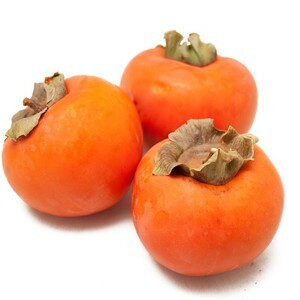 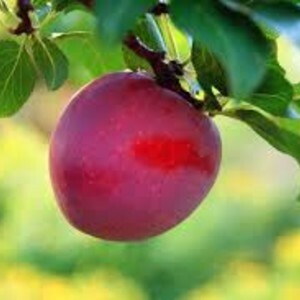 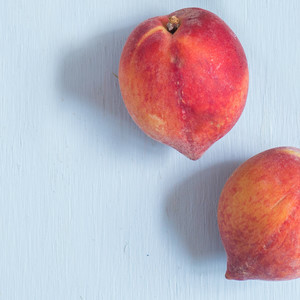 A stone fruit similar to peaches and apricots, but typically smaller and with smooth purple skin. 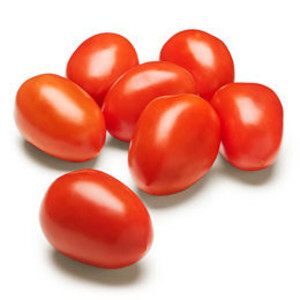 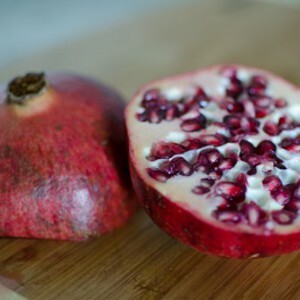 A tangy fruit with a thick skin and filled with blood-red juicy seeds. 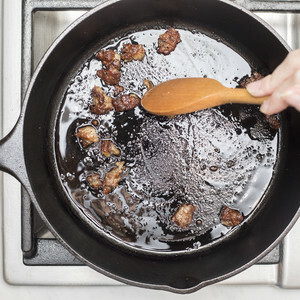 Sausage made by Pine Street Market with fresh pork and seasonings, traditionally made into sausage gravy. 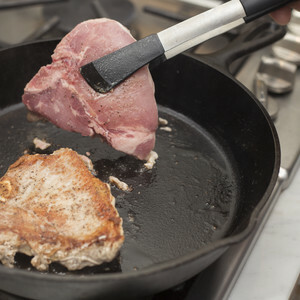 A cut of pork that comes from the tissue outside of the ribcage of the pig. 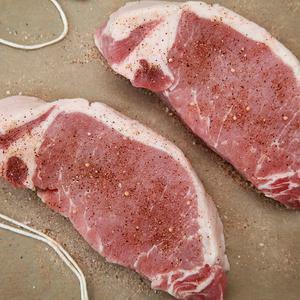 The T-Bone of pork, our porterhouse pork chops are cut thick and meaty and come from the tenderloin section on the ham end of the loin. 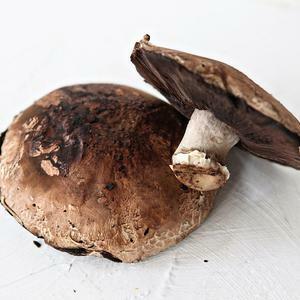 A large, edible mushroom known for its meaty taste and texture. 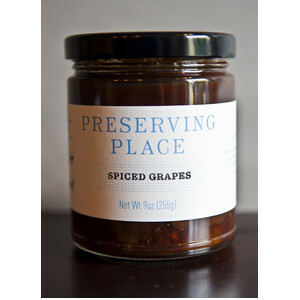 This Atlanta-based “farm to store” retail concept focuses on food preservation and preserving a Southern sense of place. 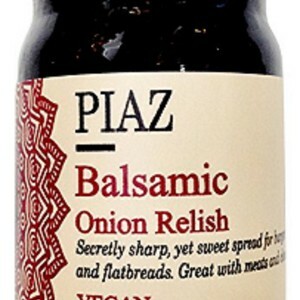 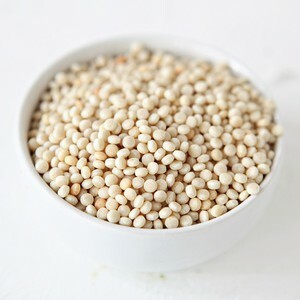 A unique blend of white pepper, bay leaf and ground fennel that imparts complex French flavors to a dish. 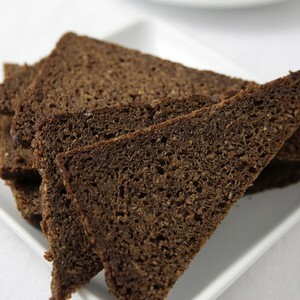 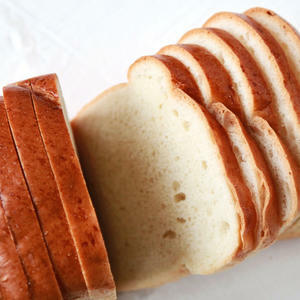 "Pullman" refers to the loaf pan that this dense nutty sweet bread is baked in. 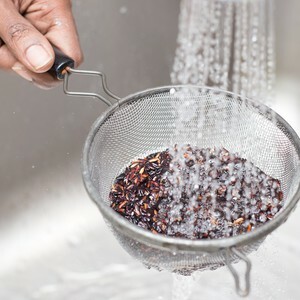 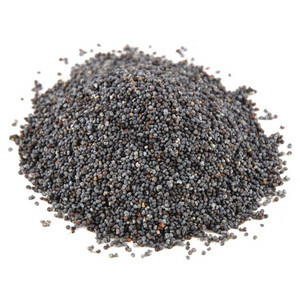 Also known as "black rice" or "forbidden rice", a crunchy variety of whole grain rice.